Dr Lynda Kelly is Head of Learning at the Australian National Maritime Museum, Sydney. 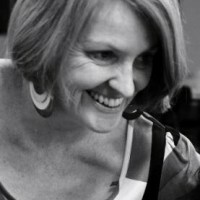 Previously she was Manager of Online, Editing and Audience Research at the Australian Museum, Sydney,and has worked in the museums sector for over 30 years. Lynda has published widely in museum evaluation and the impact of digital technologies, social media and Web 2.0 on contemporary museum practice. She is particularly interested in visitor experiences and learning and how these can be measured, young children’s learning, online and mobile learning as well as the strategic uses of audience research and new technologies in organisational change. Lynda is happily obsessed with all things Web and curious to see how this will change the world that museums operate within, coupled with new ways that people learn.